Last week I revealed our bathroom makeover, you can find that post HERE. Today, I am going to show you how we framed the bathroom mirror. We first cut the boards to the size of our builder grade mirror. 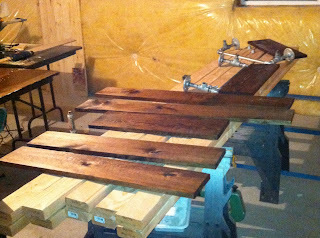 Next, we stained the boards a dark walnut color. The bolts we bought were a little long, so Matt used his metal grinder to cut some length off. 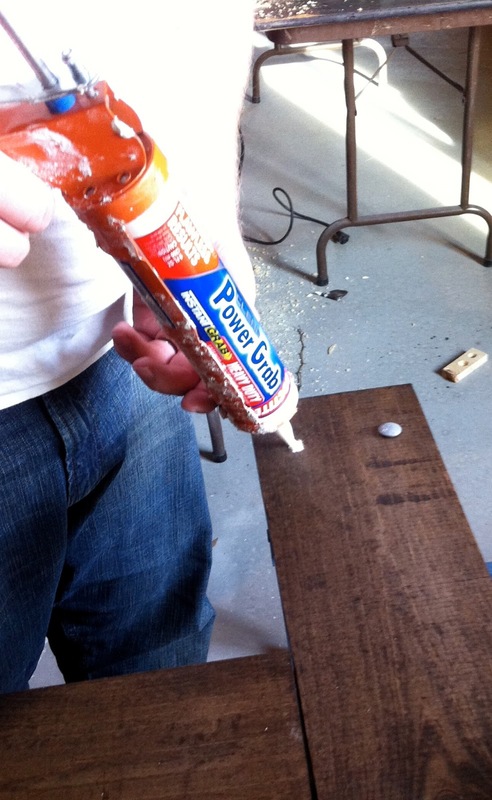 Make sure the bolt depth is smaller than the board. 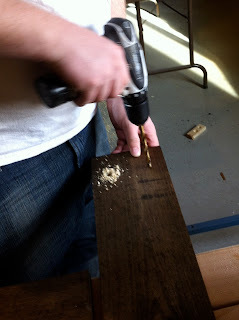 Next, Matt drilled two holes on each end of the top and bottom boards. 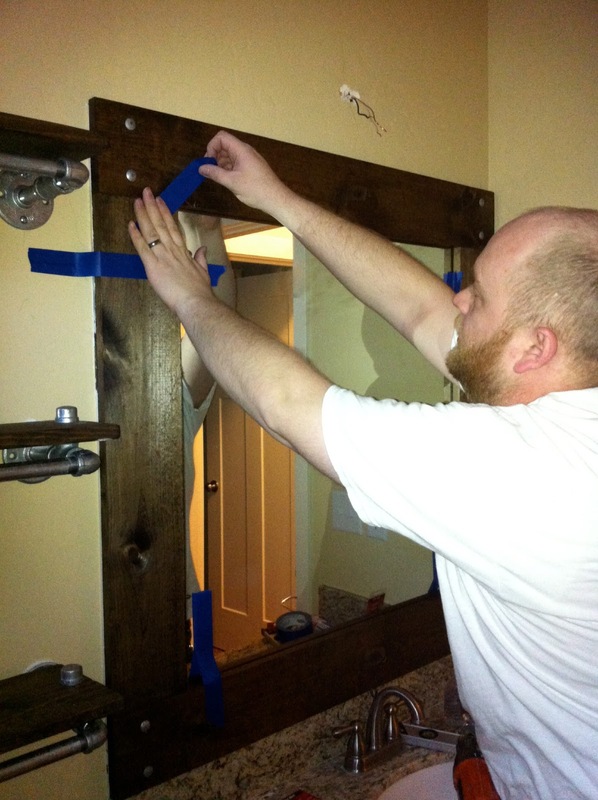 Next, he filled the holes with glue and stuck the bolts into the holes. Then he spread some glue on the back of each board and stuck it to the mirror. Make sure the edges match up and it looks straight. To make sure the boards stayed in place until the glue dryed, we secured the boards with tape. Leave the tape on for a day or so. 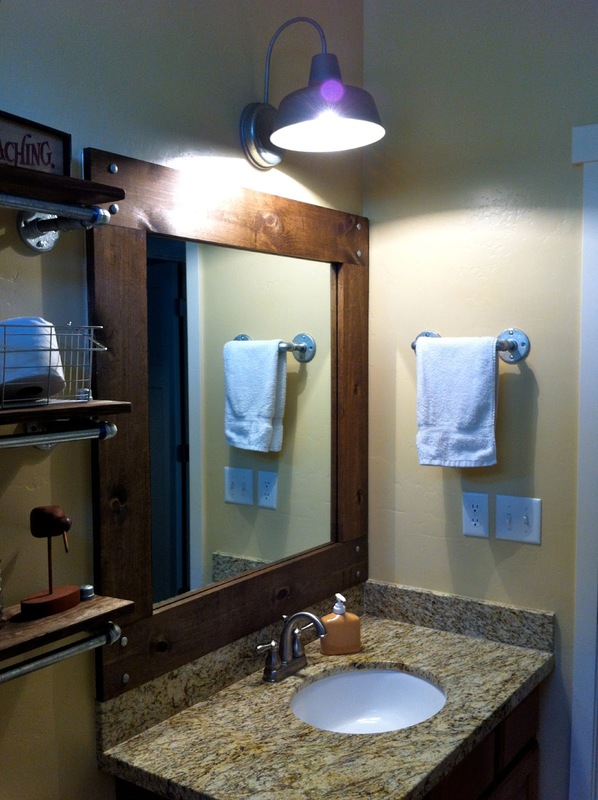 The mirror went from boring builder grade mirror to rustic awesomeness. Was there a gap in between the wall and the mirror? The mirror is between the wall and the board. The board is lined up with the edge of the mirror. I really don't notice that you can see the mirror edge.